Cutest home in Bonnie Brae. Light and open with the most delightful backyard patio area, including fireplace table and chairs. Perfect for entertaining with beautiful landscaping and perfect privacy. Immaculately maintained home in top condition for ready to move in. Solid hardwood oak floors, nicely upgraded and updated kitchen and baths with granite, stainless and recessed lighting. Stylish, EZ care plantation shutters. New gas fireplace in spacious living room that looks out large window to great sitting area on front porch and parklike view. Nice size master has french doors opening south to patio. 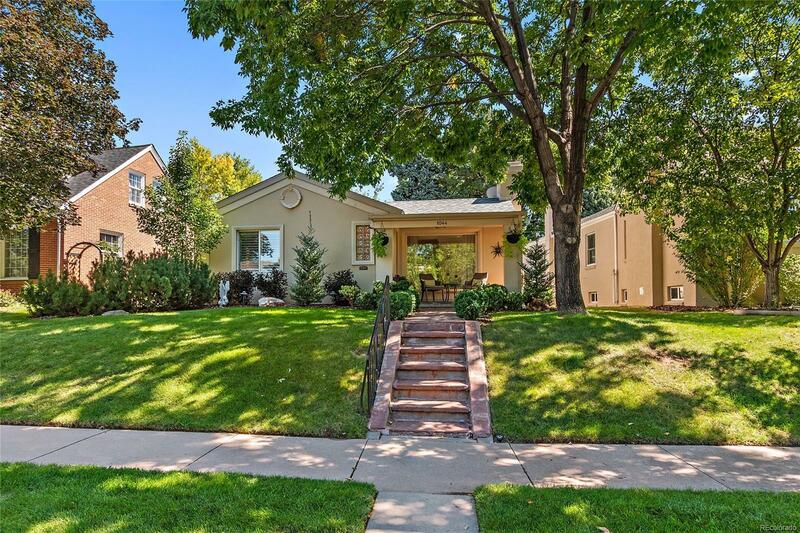 Quiet, friendly, safe neighborhood, only minutes to Downtown and a quick walk over to Old South Gaylord restaurants, Cherry Creek bike path and lots more. 2 blocks to Bonnie Brae Park. 3 car garage has heated flex space for exercise room not included in square footage.